House packages shipping internationally - prefab container shipped house kits & home building materials. 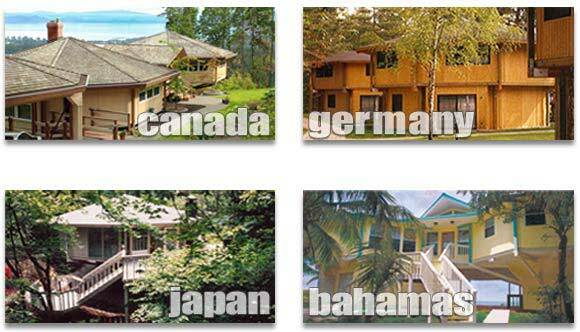 Topsider Homes - Shipping prefab house packages, kits and home building materials internationally for over forty years. Since 1968 Topsider has custom designed and shipped prefabricated home packages worldwide. Topsider Homes can be found from Scotland to Japan and from Panama to Canada. We have experience designing, properly specifying and shipping to remote locations in Asia, India, the South Pacific, the Bahamas, and throughout the Caribbean, to name just a few destinations. Twin pedestal design with carport - located on Victoria Island, British Columbia, Canada. Two-story home designs make up this multi-unit complex on the Isle of Usedom, Germany. 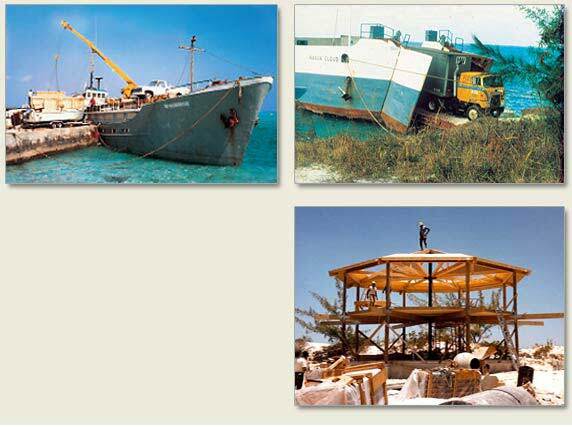 This combination of units was custom designed and built on Cat Cay, Bahamas. A custom Topsider pedestal design features 360-degree views of the Japanese countryside. We understand issues ranging from letters-of-credit and foreign exchange transactions to complex shipping logistics and customs clearance. We have shipped to remote sites well off normal deep-water shipping routes, and know how to design and properly specify low-maintenance homes that are "buildable" by local workers with limited skills. Topsider offers international clients a "one stop" shopping approach to building. We provide budgetary guidance with Free Cost Estimates, architectural and interior design, and proper specifications – all in-house. We also provide engineering, builder assistance and handle the shipping logistics necessary to make international projects flow as smoothly as possible. With Topsider, our team becomes your team, and that reduces the risks and unknowns. Topsider Homes are custom designed to meet client's needs, building site and environmental conditions, and local code and aesthetic requirements. 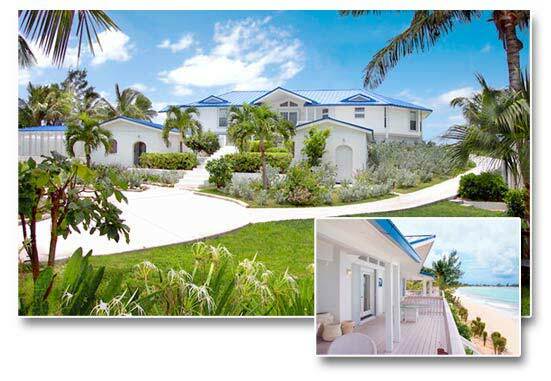 The owners of this Topsider Home enjoy the beauty, peace and serenity of beachfront living in the Caribbean. We have designed structures as small as 500 sq. ft. and as large as 20,000 square feet, and we can utilize any foundation type from our unique pedestal design and pilings to more conventional slabs and crawl-space foundations. Each project is custom designed and specified to meet your budget and other requirements including hurricane and seismic resistance. Topsider Homes can be built on virtually any terrain, from the side of a mountain in the Italian Alps to a tropical beach in Costa Rica. That is because of the nearly unlimited design flexibility and ease of assembly of our high quality post and beam building system. And our in-house design and technical staffs are skilled at specifying each structure to meet local building codes and climatic requirements, as well as making sure they blend aesthetically with local architecture. with you and your builder from start to finish of your new home building project. Building a new home in a remote location or foreign country can be a daunting task. That's why Topsider works closely with clients to design homes that not only fit local requirements ranging from engineering to aesthetics, but homes that are "buildable" by the local labor force. We work diligently with clients on design concepts, construction estimates and all the preliminaries in an effort to reduce the risks and uncertainties once a project begins. We stay with you, work with your builder and are available every step of the way until your project is completed. It's all part of our commitment to seeing your project through. Our flexible prefab building system allows each Topsider Home to be designed, adapted, and acclimatized to the local environment, whether the Italian Alps or a tropical rainforest in Costa Rica. And, we design each home to blend aesthetically with local architecture styles, no matter where. Topsider prefab homes and house packages can be found throughout the world. We have shipped to the South Pacific, Japan, Spain, Scotland and the UK, Germany, India and the Middle East. And closer to home, in Canada and throughout the Caribbean, from the Bahamas to Panama. Central procurement and logistics allows for much greater control and limits the potential for cost overruns, particularly in areas where local supply and construction skills are limited. Our "single source" approach for all building materials and shipments helps ensure a quality home with fewer delays.